1. 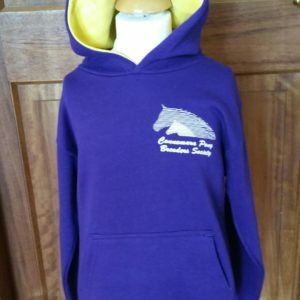 The name of the Company (hereinafter called the Society) is “CUMANN LUCHT CAPAILLINI CHONAMARA,” (“the Connemara Pony Breeders’ Society”). 2. In these Articles unless there be something in the subject or context inconsistent therewith, “The Society” means the above named Company. 3. The Registered Office and the Office of the Society shall be located in Clifden Connemara Co. Galway Ireland. “The Council” means, the members for the time being of the Council hereby constituted. “In writing” means written, or printed, or partly written and partly printed. “Words importing persons” shall include corporations. “Words importing one gender” shall include all genders, and the singular includes the plural and vice versa. ‘address’ means a postal address or, for the purposes of electronic communication, a fax number, an email or postal address or a telephone number for receiving text messages in each case registered with the Society. where a letter of resignation is received in the Society’s office from an existing council member not less than 10 calendar days prior to the date of the election count for seats on the Council. where a death occurs of an existing council member not less than 10 calendar days. prior to the date of the election count for seats on the Council. – the day for which it is given or on which it is to take effect. ‘Companies Act’ means the Companies Act 2014 insofar as it applies to the Society. ‘company secretary’ means any person appointed to perform the duties of the company secretary of the Society. ‘council members’ means the executive Directors and non-executive Directors of the Society. ‘document’ includes, unless otherwise specified, any document sent or supplied in electronic form. ‘electronic means’ or ‘electronic communications’ includes the use of electronic mail as referred to in section 2 (1) of the Companies Act 2014. ‘in writing’ means written, or printed, or partly written and partly printed. ‘Ireland’ means the Republic of Ireland and Northern Ireland. ‘member’ means a Member for the time being of the Society. ‘normal place of residence’ is that Province of Ireland in which the member has his/her principle place of residence and where he/she is resident for not less than six months of the year. ‘objects’ mean the objects of the Society as set out in Article 3 and 4. ‘officers’ includes executive Directors of the Council and the company secretary (if any). ‘ordinary council meetings’ are meetings called on a regular basis where matters relating to the general running of the Society business takes place. ‘ordinary resolution’ has the meaning given to it by section 191 Companies Act 2014. ‘President’ means the President of the Society. ‘rules, regulations and bye-laws of the Society’ shall be those as approved by the Council from time to time. ‘social media’ means websites and applications that enable users to create and share content or to participate in social networking. ‘special council meeting’ is a meeting which the council call to discuss and consider a matter of importance which would be outside the regular schedule of an ordinary council meeting. ‘special resolution’ has the meaning given to it by section 191of the Companies Act 2014. ‘the Articles’ means the Society’s Articles of Association. 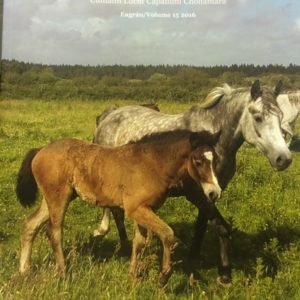 ‘the Charity’ means the Company (The Connemara Pony Breeders’ Society) intended to be regulated by these Articles. ‘the seal’ means the common seal of the Society. ‘words importing one gender’ shall include all genders, and the singular includes the plural and vice versa. ‘words importing persons’ shall include corporations. ‘written resolution’ has the meaning given to it by section 191(8) of the Companies Act 2014. The Society, for the purpose of registration, is declared to consist of not more than five thousand members. The Council hereinafter mentioned may, whenever the business of the Society requires it, register an increase of members. The Subscribers to the Memorandum and Articles of Association of the Society and such persons as shall be admitted to membership in accordance with these Articles, and none other, shall be members of the Society and shall be entered in the Register of Members accordingly. The Society must keep a register of names and addresses of the Members. Every member of the Company undertakes to contribute to the assets of the Company if the Company is wound up while he or she is a member or is wound up within one year after the date on which he or she ceases to be a member, for— (a) the payment of the debts and liabilities of the Company contracted before he or she ceases to be a member, and the costs, charges and expenses of winding up; and (b) the adjustment of the rights of contributories among themselves, such amount as may be required, not exceeding €1. Every Member of the Society shall be bound to further, to the best of his/her ability, the objects and interests of the Society and to observe the rules, regulations and bye-laws made by the Society. A Member shall at all times act in the best interests of the Society at public meetings or in the print, sound, visual and social media. Ordinary members are members of the Society who have been admitted in accordance with Article 7 (i) and (ii) (a) and (b) and who normally reside within Ireland. Overseas members are members of the Society who have been admitted in accordance with Article 7 (i) and (ii) (a) and (b) and who normally reside outside Ireland. An overseas member is not entitled to vote at meetings of the Society but may only attend as an observer. Should a dispute arise over the member’s declaration of his/her normal place of residence, responsibility shall rest with the member concerned to furnish documentary evidence as proof to support the declaration. 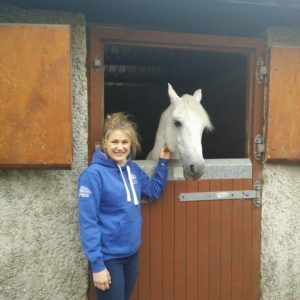 Honorary members are benefactors of the Society, persons who are actively interested in the Connemara Pony breed and persons who have co-operated in the work and aims of the Society. Honorary members shall be nominated by the President of the Society at a time at his/her discretion and voted upon by Council members. Honorary membership is for life. Honorary members shall enjoy the rights and privileges as an ordinary member. The Nature and extent of the privileges attached to membership of the society shall be determined by the Council. The privileges of membership shall not be transferable and shall cease on the death of the member, or on his/her resignation, or where his/her membership has not been received before the 1st March in the Society’s office in that year. the Member dies or if the organisation ceases to exist. the Member is removed from membership by a resolution of the Council that it is in the best interests of the Society that his/her or its membership is terminated. a resolution to remove a Member from membership shall be passed in compliance with the Society’s disciplinary procedures and the Companies Act 2014. Notwithstanding the foregoing, if it is established to the satisfaction of the Council upon receipt of a certified memorandum of conviction that a Member has been convicted before a court of law of any offence of cruelty towards an Animal then that Member shall be expelled or suspended from membership of the Society forthwith or reprimanded or cautioned and the Council Members shall not be required to adopt the procedure set out in Article 12 (c) above. A member so expelled shall be eligible to re- apply for membership after a period of not less than 3 years. 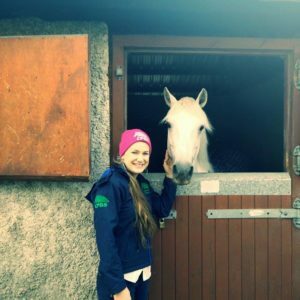 The Connemara Pony Breeders Society is committed to preserving and protecting the wellbeing of all members equally. Each individual member is expected to, at all times show respect and understanding for fellow members and to consider the safety and welfare of fellow members and to conduct themselves in a manner that reflects these principles. Members by virtue of their membership undertake to observe, uphold and comply with the Constitution, Rules, Regulations and Procedures of the Society and not to do anything to damage the good name of the Society or to bring it into disrepute and to give assistance and co-operate in the running of events run by or for the benefit of the Society. The Society shall have the power to discipline any member when it is satisfied that there has been any breach of the Constitution or the Rules or Regulations or Procedures of the Society or where any member has been found guilty of conduct unbecoming of a member of this Society. The Society shall encourage and assist with the provision of dispute resolution procedures to resolve differences that may arise between members. Any member who fails to observe any of the Regulations or bye-laws of the Society, or who shall be guilty of any act or conduct which in the opinion of the Council is detrimental to the interests of the Society may be excluded from the Society,by resolution of a majority of 75% of the members of the Council present and voting at a Council meeting specifically summoned for the purpose at which not less than half the members shall be present. A member so summoned to attend such a specially convened meeting of Council as in Article 13 (iii) shall be in compliant with Section 146 of the Companies Act 2014. The Society may withdraw or suspend membership as a result of the actions of a member. Membership may be suspended pending the outcome of an investigative process. All powers under this Article shall be exercised in accordance with the principles of fairness and natural justice. The Council may delegate the exercise of its disciplinary functions to a sub-committee or ad hoc committee which committee may consist of executive members and non – executive members but shall be presided over by the President or his/her nominee or where there may be a conflict of interest for the President then by another member of the executive committee nominated by the executive committee. The Society shall establish a Code of Disciplinary Procedures to which all members shall be subject and all disagreements and disputes shall be dealt with under these procedures where alternative dispute resolution procedures are not availed of or do not apply. Members by virtue of their membership of the Society are deemed to be bound by the Disciplinary Procedures and decisions of the Council. The Council shall uphold the Objects of the Society as described more particularly in Clauses 3 and 4 of the Memorandum of Association of the Society, and shall act in the interests of the Society in accordance with these said Clauses 3 and 4 of the Memorandum of Association of the Society. The Membership of the Council shall not exceed twenty-one members and shall represent all of Ireland. Election to the Council shall be by Proportional Representation and shall be conducted by a postal ballot of all Ordinary members of the Society who are fully paid-up before the 1st March in that calendar year, and the results of the ballot shall be declared at the Annual General Meeting. To exercise an entitlement to vote a person must be a registered member of the Society having attained the age of 18 years prior to the date on which the ballot papers are sent to the members of the Society. No person, including Officers, shall be allowed to be a member of the Council for more than six consecutive years after which he/she shall step down from the Council for a minimum period of one year. A candidate for election to the Council shall be elected by the members of the Society who are normally resident in that Province of Ireland in which the candidate is normally resident. All members of the Society shall inform the Secretary in writing of their normal place of residence and shall be deemed to live in that Province of Ireland unless and until the Secretary is informed otherwise in writing, and any change of residence must be received by the Secretary at least sixty days prior to any General Meeting of the Society; a member who fails to comply with this Article 15 (iv) (a) shall forfeit the right to vote and/or to stand for election. A candidate seeking election to the Council must be nominated by four members of the Society from the Province in which the candidate normally resides and he/she shall sign a nomination form undertaking to abide by any rules, regulations and bye-laws as may be laid down by the Council from time to time. two seats, numbered U 1 to U 2, for members normally resident in Ulster. one seat in Ulster representing one half of the seats in that Province. In Ulster seat U 2 shall fall vacant and shall be allocated to the first successfully elected candidate. In 2017 the vacation of seats by rotation shall continue with seats C 5 to C 8 in Connacht; with seat M 2 in Munster; with seat L 2 in Leinster, and with seat U 1 in Ulster. In 2018 the rotation of seats in each Province shall continue with the vacation of seats C1 to C4 in Connacht, with seat M 1 in Munster, with seat L 1 in Leinster and seat U2 in Ulster and the rotation of seats in each Province shall continue in this manner in perpetuity. A chart illustrating the rotation of seats and the names of the Council member currently occupying each seat on the Council shall be publicly displayed in the Offices of the Society at all times. In the event of an equality of votes between candidates from the same Province the allocation of seats shall be decided by lottery, undertaken and managed by the Returning Officer at the count centre. A Council member who occupies a seat that falls vacant by fixed rotation in any Province shall stand down from the Council regardless of how long he/she has been a Council member and, being eligible in accordance with Article 15 (iii) above, may offer himself/herself for re-election to the Council. In addition to the seats that are vacated by strict rotation, any casual vacancy of a seat that may arise or any vacancy that may arise through compliance with Article 15 (iii) above shall be filled by election once a year in compliance with Article 15 (ii) and if two or more seats in any Province require to be filled due to casual vacancy the allocation of such seats to the successful candidates shall be decided by lottery undertaken and arranged by the Returning Officer at the count centre. If a seat in any Province is unfilled because of a lack of eligible candidates in accordance with Article 15 (v) above it shall remain vacant until it is offered at the next annual election. Any member of the Council shall be eligible to stand for election as President providing that he/she shall not have served more than four consecutive years on the Council immediately preceding his/her election. The President shall be elected by the Council at the first meeting of the Council following the Annual General Meeting and shall be entitled to hold Office for a maximum uncontested period of two years, after which he/she shall step down from the Council for a minimum period of one year. The President shall relinquish his/her term of Office at the first meeting of the Council after the Annual General Meeting at which he/she will act as independent adjudicator for the sole and explicit purpose of the election of the incoming President but shall exercise no right to vote, following which he/she shall immediately step down from the Council. Following the election of the President in accordance with Article 16 (ii) above, the unelected candidate with the next highest vote who stood for election to the Council in the Province represented by the President shall be deemed to be elected to the Council and shall take the seat, previously allocated to the President, at the Council meeting following the election of the President, and shall vacate the seat by strict rotation in accordance with Article 15 (vii) above. (a) If the vice-President successfully contests the election for President he/she shall be deemed to commence their two-year term of office as and from the date of their election. The executive Officers shall comprise the President, the vice-President, the Finance Officer and the Human Resources Officer (HR). Except for the position of President, the Council shall elect from within its membership the three executive Officers of the Council at the first meeting of the Council following the Annual General Meeting, and each Officer shall hold Office for one year and shall relinquish Office at the first meeting of the Council following the next Annual General Meeting and, being eligible in accordance with Article 17 (i) (b) below, may offer himself/herself for re-election as an Officer. No Council member shall hold the position of any Executive Officer of the Society for more than six consecutive years, after which he/she shall not be eligible to be an Officer for a minimum period of one year. Prior to election each candidate offering himself/herself for election as an executive Officers shall sign a declaration that he/she understands, and is capable of fulfilling, the functions of that Office. The position of Officer of the Society shall be a non- remunerated position. 18. Changes in year 2015 only. In the year 2015, in order to allow for the full implementation of the amended Memorandum and Articles of Association and for the introduction of the amended system of election of members of the Council, and in the interests of fairness and transparency, the current members of the Council, except for the President and the Treasurer, shall step down from the Council at the close of business at the Annual General Meeting and shall have been eligible to stand for re-election and, if elected, shall be deemed to be elected for the first time. In Ulster seats U 1 to U 2 shall be allocated in that order to the first two successfully elected candidates in that order. In order that the Affairs of the Company are conducted in a proper and uninterrupted manner throughout the transition period of the full implementation of the amended Memorandum and Articles of Association of the Society, the current President and the current Treasurer shall remain in Office without election but shall act in strict compliance with Article 18 (ii) (a) and 18 (ii) (b). In the year 2015 the current President shall remain as uncontested President of the Society until the first Council meeting after the Annual General Meeting of 2016 when he shall relinquish Office in accordance with Article 16. (iii) and shall step down from the Council for a minimum period of one year. In the year 2015 the current Treasurer, who is currently resident in Connacht, shall take the position of Finance Officer and shall be allocated seat Number C 12 on the Council and shall be deemed to be elected to the Council for the first time, and his seat in Connacht shall be vacated in 2016 in strict order of rotation in accordance with Article 15 (viii), and being in compliance with Article 15 (iii) above he shall be eligible to offer himself for re-election. The Council shall be elected by the Society in accordance with the procedures provided for in these Articles. he or she is not disqualified under the provisions of Article 22.
he or she will not have served more than six consecutive years as a Council member after which he/she shall have stepped down from the Council for a minimum of one year. At least ninety days prior to the date determined for the Annual General Meeting in each year the Company Secretary shall notify members of the Society of the impending election for seats to Council and inviting nominations. Each nomination must be received by the Society at least sixty days prior to the date of the Annual General Meeting and shall specify the name of the candidate, being duly proposed and seconded by four Members of the Society from the Province in which the candidate normally resides. There shall be included with each nomination a declaration, signed by the candidate, of his or her willingness to be elected a Council Member of the Society and his or her agreement to comply with the codes and bye laws of the Society. If the number of candidates duly nominated for a specific region is equal to or less than the number of vacancies to be filled in that specific region, all such candidates shall be declared elected at such annual general meeting. If no declaration of elected candidates can be made in accordance with sub-clause (a) of this Article 19 (v) the election shall be made by postal ballot and the result shall be declared at the annual general meeting. If a ballot shall be necessary, the Company Secretary or, failing this, any Council Member shall cause the name of each candidate to be entered in the ballot paper, which shall be in a form approved by the Council. One such ballot paper shall be sent to each member of the Society not less than 35 days prior to the Annual General Meeting at which the result of the election is to be declared. A member shall be entitled to vote for any number of candidates in order of preference but shall not be entitled to cast more than one vote in respect of each candidate. Each ballot paper shall state the last date on which it may be returned by a Member to the Returning officer appointed as described in Article 19 (v) (g). Such last date shall be at least 14 clear days before the Annual General Meeting at which the result of the election is to be declared. retaining all ballot papers received for a period of one month after the relevant annual general meeting. The Returning Officer shall perform each of the above responsibilities by a specific time and date specified by the Society. A Candidate and /or one representative shall be entitled to attend the count centre in an observational capacity. In so acting, the Returning Officer’s decision on any matter shall be final and binding on the Society save in the case of manifest errors. If between two or more candidates for a vacancy or vacancies there is an equality of votes, the successful candidate or candidates shall be chosen by lot, undertaken and managed by the Returning officer. If the number of nominations received by the Society in accordance with Article 15 is fewer than the number required to fill all vacancies available within each specific Province then all nominations for that specific Province shall be declared elected. Any vacancy unfilled shall remain vacant until it is offered for election the following year and shall not be transferable to any other Province. 20. Powers of the Council. The Council may from time to time make, vary and repeal Bye-Laws for the regulation of the affairs of the Society and the conduct of its officers, servants and members and such byelaws may prescribe the privileges to be enjoyed by any class of members; provided that no bye-law or regulation shall be made under this power which would amount to such an addition to or alteration of these Articles as could legally only be made by a Special Resolution passed and confirmed in accordance with Section 191 of the Companies Act 2014. Copies of duly passed Rules, Regulations and Bye-laws shall be available from the office on payment of the appropriate fee as set by the Council. The Council shall, however, have power in its absolute discretion to amend or rescind any act, thing or resolution, done, passed, or adopted by any such Committee. Any casual vacancy in a Committee may be filled by the Council or by the Committee in accordance with Article 20 (ii). The President as of right may sit as a member on any number of sub committees established in compliance with Article 20 (ii) and at his/her sole discretion and shall have the same rights as any ordinary member of the committee. All acts and proceedings of any committees must be reported in accordance with the rules as laid down by the Council. The Council shall have power from time to time to appoint or remove an employee to or from the Society and to determine the period of his/her appointment and to fix his/her remuneration. A member of the Society shall be eligible for appointment as an employee of the Society. Every Committee appointed may be terminated by the Council in its absolute discretion. If he/she shall die or shall cease to be a member of the Society or if, having tendered his/her resignation in writing, it is accepted by Council. If he/she shall be adjudicated a bankrupt or become of unsound mind. If he/she shall be convicted of a criminal offence. If he/she shall be absent from three consecutive meetings of the council without leave of absence given by resolution of the council. The Council’s discretion to approve leave of absence to any member of the council shall be limited to a maximum of three meetings within the period from the first Council Meeting following the Annual General Meeting to 10 calendar days prior to the next election count; thereafter the council member will be deemed to have vacated their seat on the council and his/her seat shall be offered at the next annual election. 22. Disqualification from being a Council Member. Is a net debtor to the Society for a period of six months. Meetings of the Council shall be held at such times and places as the members of the Council think fit. A Council meeting shall be called by the Secretary at any time at the request of the President, or of seven members of the Council and not less than 7 days’ notice of meeting shall be given to the members of the Council unless the Council shall by a Bye-Law otherwise direct. For purposes of this clause it will be deemed adequate if notice is sent by ordinary post, electronic mail or text messaging not less than nine days prior to the meeting. A Council meeting may be adjourned for such time and to such place as the members present may determine. Save where otherwise provided in these Articles questions arising at any meeting shall be decided by a majority of votes, and the presiding Chairman shall have a second or casting vote in the case of an equality of votes. The quorum necessary for the transaction of business shall be fixed by the Council and unless so fixed shall be seven. Subject as aforesaid the meeting of the council and of every Committee and the procedure, shall be regulated as the members of the Council shall think fit. A Council Member must declare the nature and extent of any interest, direct or indirect, which he or she has in a proposed transaction or arrangement with the Society or in any transaction or arrangement entered into by the Society which has not previously been declared. The Annual General Meeting of the Society to be held in compliance with the provisions of the Companies Act 2014. The Annual General Meeting shall be called ordinary meeting and shall be held each year and not more than fifteen months shall elapse between successive annual meetings. The date and place of Annual General Meeting shall be decided by the Council. The business transacted at the Annual General Meeting shall be to receive and consider the Accounts and Balance Sheet and the reports of the Council and the Auditors, to elect Auditors and fix their remuneration, to declare the name of any persons who have been elected Council Members in accordance with the provisions in Article: 15 and to transact any other business which under these presents ought to be transacted at an Ordinary Meeting. All other general meetings other than Annual General Meetings shall be called Extraordinary General Meetings. All general meetings of the Society shall be held at a location in the Republic of Ireland. The Council shall, convene an Extraordinary General Meeting on the requisition of one or more members holding, or together holding, at the date of the deposit of the requisition, not less than 10 per cent of the paid up Members of the Society as at the date of the deposit carrying the right of voting at general meetings of the Company, and shall forthwith proceed duly to convene an extraordinary general meeting of the company. The requisition shall state the objects of the meeting and shall be signed by the requisitionists and deposited with the Company Secretary at the registered office of the Society and may consist of several documents in like form each signed by one or more requisitionists. If the Council do not within 21 days after the date of the deposit of the requisition proceed duly to convene a meeting to be held within 2 months after that date (the “requisition date”), the requisitionists, or any of them representing more than 50 per cent of the total voting rights of all of them, may themselves convene a meeting, but any meeting so convened shall not be held after the expiration of 3 months after the requisition date. All resolutions and proceedings of general meetings and of meeting of the Council and Committees. The names of all members present at each meeting of the Council and of any Committee. All orders made by the Council and Committees of the Council. The minutes of any meeting if purporting to be signed by the Chairman of such meeting or by the Chairman of the next succeeding meeting shall be receivable as prima facie evidence of the matters therein stated. If any ordinary member shall fail to give a place of address in Ireland, he/she shall not be entitled to receive notice of any of the General Meetings or other proceedings of the Society, and no meeting or other proceedings shall be invalidated by reason of his/her not having received such notice aforesaid. The proceedings at a meeting shall not be invalidated because a person who was entitled to receive notice of the meeting or notice of a resolution intended to be moved at a meeting did not receive it because of an accidental omission by the Society. The President of the Society shall preside as Chairman at every General Meeting of the Society, or in his/her absence the Vice President shall preside or if none of these officers is present the members present shall choose one of their number to be Chairman of the meeting. The Chairman shall regulate the business of the meeting and his/her ruling on all questions shall be conclusive and final. The quorum for a General Meeting of the Society is seventy five members personally present who are entitled to vote upon the business to be conducted at the meeting. If a quorum of members is not present within one hour from the time appointed for the meeting or the meeting shall stand adjourned to a day hour and place to be appointed by the Council. The Council must reconvene a meeting adjourned pursuant to Article 25 (vi) and must give at least seven clear days’ notice of the reconvened meeting stating the date, time and place of the meeting. Every Ordinary member shall be entitled to vote at every General meeting of the Society provided they comply with Article 7 (a) and (b) (i) and (ii). Each member shall have one vote and no more. No member shall be entitled to be present or to vote at any meeting unless all monies due from him/her to the Society have been paid. Any vote at a meeting shall be decided by a show of hands unless, before, or on the declaration of the result of, the show of hands a poll is demanded by the person chairing the meeting; or by at least three members present and having the right to vote at the meeting. If a poll is demanded in manner aforesaid, the same shall be taken in such manner as the Chairman directs. The declaration by the person who is chairing the meeting that a resolution has been carried and entry to that effect in the minutes of the proceedings of the Society shall be conclusive evidence of the fact. The result of the vote must be recorded in the minutes of the Society but the number or proportion of votes cast need not be recorded. A poll must be taken as the person who is chairing the meeting directs, who may appoint scrutineers. The results of the poll shall be declared at the meeting. Resolutions in writing of the Society may be passed in accordance with Section 191 Part 6 of the Companies Act 2014. A member wishing to bring before the Ordinary meeting any motion not relating to the business mentioned in Article 25 (iv) shall give notice of such motion to the Council not less than seven days before the meeting and no such motion shall come before the meeting unless such notice has been given. Subject to the Articles, anything sent or supplied by or to the Society under the Articles maybe sent or supplied in any way in which the Companies Act 2014 provides for documents or information which are authorised or required by any provision of that Act to be sent or supplied by or to the Society and the Company communications provisions of the Companies Act 2014 shall apply to anything sent or supplied under these Articles. A member present in person at any meeting of the Society shall be deemed to have received notice of the meeting and of the purposes for which it was called. Proof that an electronic form of notice was given shall be conclusive where the Society can demonstrate that it was properly addressed and sent. The Council shall provide a common seal for the purposes of the Society. The Seal for the time being of the Society shall be kept under such custody and used for such purposes of the Society as the Council shall from time to time decide. The Seal shall never be used except by the Authority of a resolution of the Council in the presence of two members of the council at least who shall sign every instrument to which the Seal is affixed and every such instrument shall be countersigned by the Secretary or some other person appointed in that behalf by the Council. The Society shall indemnify any person acting on the authority of the Council of the Society against any liability incurred in successfully defending legal proceedings in that capacity, or in connection with any application in which relief is granted by the Court from liability for negligence, default, or breach of duty or breach of trust in relation to the Society.